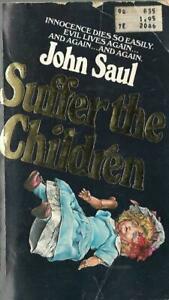 Suffer the Children by John Saul. 70s Horror paperback. 1st printing. AUDIO BOOK on CDs Faces of Fear by John Saul (2015, CD, Abridged) FREE SHIPPING!